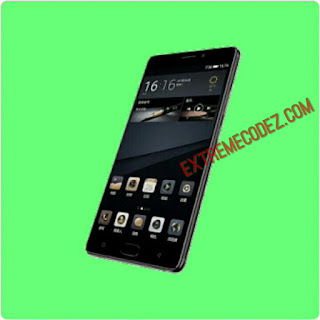 Gionee M6S Plus (black) When you look at Gionee M6S Plus specifications sheet, you will be amazed at the huge 6GB RAM alongside the mind blowing 128GB Internal Memory on one of the versions while the other version packs 64GB internal memory. The M6S Plus is a 6-inch Phablet with OnCell AMOLED and another layer of Gorilla Glass protection. It is powered by 64-bit Octa-core 1.95 GHz Qualcomm Snapdragon 653 chipset. "This is just similar with the Gionee M2017 that packs Android 6.0.1 marshmallow. In terms of storage of 128GB internal memory ROM and a 6GB RAM. Measurement is: 155.2×77.6×10.65mm and it weighs 230g, it packs a beastly 7000mah of battery". The Gionee M6s Plus, runs Android 6.0 Marshmallow plus Amigo UI 3.5 which is Gionee's custom user interface. In terms of design and body build, we have a metal body here while the phone comes in three color options such as Grey, Black, and Gold. In the photography department, the handset packs 12-megapixel rear camera with LED flash while in the front, it has 8-megapixel shooter with soft LED flash for taking brighter selfies at night and in low light areas. The front cam can also be used for video calling and chatting. Connectivity options includes but not limited to GPS, WiFi, Hotspot, microUSB v2.0, USB-On-the-Go while the supported sensors are Fingerprint scanner, light sensor, gravity sensor, electronic compass, compass, gyro and proximity sensor. Below are the rest of Gionee M6S Specs. be really one thing which I believe I might by no means understand. I'm taking a look ahead in your next submit, I'll try to get the hold of it!